Many veterans channel the skills and leadership ability they develop in the military into starting a business. There are a wealth of resources available to veteran entrepreneurs. In this article, we provide you with 23 resources related to startup financing, training, and other opportunities for veterans starting a business in 2017. If you are looking for startup financing there are many loan programs designed to better serve veterans and their families. To qualify for a loan you’ll need to meet some minimum requirements, such as a credit score above 650 (check your score for free here), a down payment of 10%, and a demonstrable ability to repay the loan. As an alternative to borrowing to fund a startup, those entrepreneurs who have $50k or more in a retirement account can use that money (without paying early withdrawal penalties and taxes) to fund their business by doing a rollover for business startups. You can read more about ROBS here or speak with a professional at Guidant. In honor of those who have served our country, we’ve put together a list of the top 23 resources for veterans who want to start a business. If you are not currently registered as a veteran owned business then you should do this first. The OSDBU’s (Office of Small & Disadvantaged Business Utilization) verification process allows veteran business owners to be listed in the VetBiz directory. Once listed they can qualify for certain government contract processes that are reserved only for veteran owned businesses. This certification can also be important for qualifying for certain types of veteran financing programs. The OSDBU also has an entrepreneurial portal with information on doing business with the VA and other government agencies. This portal provides step by step guides for all the OSDBU’s verification processes. BusinessUSA is a government website that has a large number of tools, trainings, and listed resources that can help veterans start and improve their businesses. They pool information and resources from a number of different agencies but make it easy to navigate with a short quiz that will identify specific government resources most applicable to you and your business. StreetShares provides loans of $5k – $100k to businesses that have made it past the 1-year mark. Their loans have repayment terms of 3 to 36 months, come with APRs that start at 8%, and only require a minimum of $25,000 in revenue. StreetShares has made a commitment to provide good, low-cost small business loans to veteran owned businesses and businesses owned by a veteran’s family member.Their online application takes just a few minutes and they can get you funded in about 1 week. StreetShares does more than just lend to veteran owned small businesses. The StreetShares Foundation gives away cash awards to veteran owned businesses every month. To qualify you simply need to fill out an application consisting of your business idea, the use of funds, some background information, and how your business will influence the veteran community. StreetShares picks the top 5 – 10 finalists and posts them on their website for the public to vote on. The top 3 vote-getters will be given cash awards of $5,000, $3,000, and $2,000. This is not a loan and your business will never have to pay it back. The Small Business Administration’s Veteran Advantage Loan Program, housed under the Express Loan program, expedites applications for government-backed loans of up to $350,000. You are guaranteed a response to your application within 36 hours. Typically you’ll need a credit score above 680 to qualify for an SBA loan. Check your score here for free. VetFran provides a host of resources with the mission of helping veterans and their spouses get access to franchising opportunities. VetFran’s website helps veterans determine whether or not a franchising opportunity is right for them, and which types of franchises might be a good fit. You can become a member of their network of over 650 franchise brands and other partners. These network companies provide financial discounts, mentorships, and training to veterans who own a franchise or are looking to operate a franchise. Learn more about whether franchising is right for you. V-Wise is an SBA-sponsored training program for women veterans. The 3-day conference provides advice on starting a business as well as growing an existing business. It’s a great networking opportunity as it attracts other business owners or business owners-to-be from around the country. Hotel accommodation, all meals except one, and books/program materials are entirely covered. You are responsible for travel to and from the conference. The Institute for Veterans and Military Families at Syracuse University started the EBV program with the goal of creating entrepreneurs by the end of the 3 phase program. Phase 1 is a 30-day instructor led online course covering the basics of owning and running a business. Phase 2 is a 9-day residency at a host university where students tackle business issues hands on. Finally, Phase 3 involves 12 months of ongoing support from EBV mentors, a great resource if you have questions (and you’re likely to!) after setting up your business. Travel expenses, lodging, meals, program materials, textbooks, and all other costs are covered by the program. The Bunker is an incubator for veteran-owned technology startups. For six months, The Bunker will provide you with office space where you can work on your business, talk to a network of fellow entrepreneurs, obtain mentorship and professional development, and access capital from investors. There are roundtable conversations, networking events, and a speaker series designed for the businesses in the program. The SCORE Foundation has a network of over 13,000 mentors, trainers, and partners. Through this network, as part of their Veteran Fast Launch Initiative, SCORE provides numerous resources. This includes free business workshops; one-on-one mentoring; free business calculators, templates, and spreadsheets; and 5 free hours of financial advice from a Certified Public Accountant. There are 320 chapters, so you can go into a local SCORE office today for more info. 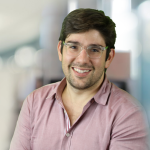 Hivers and Strivers, an angel investment firm, focuses on early stage investments to support startup companies founded and run by graduates of the U.S. Military Academies (West Point, Coast Guard, Annapolis, and Air Force). The firm invests anywhere from $250,000 to $1 million in a single round. If you’re seeking more than $1 million, you can use the Hivers and Strivers network to find other investors. Veterans can complete an online application. 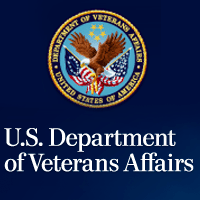 The U.S. Department of Veterans Affairs runs a Vocational Rehabilitation & Employment (V&RE) Program for veterans that have become disabled as a result of their service. The seriousness of the service-connected disability determines the amount of funding you can receive. Veterans can receive grants for the purchase of inventory, supplies, licensing fees, and essential equipment. Applicants must submit a complete business plan before they can be considered for funding. We recommend using LivePlan business plan software to make drawing up a business plan easier. They have many templates and examples to choose from plus they have a 60-day money back guarantee. Startup Veterans runs a 16 week online program aimed at launching a new business. This program is not a passive experience where you watch webinars at your convenience. You actively participate in the program through interactive lessons and submit hands-on assignments. A huge advantage to the program being delivered online is that the mentors can be matched to your needs instead of just matching you with the mentor that lives close by. The program requires an online application and phone interview to qualify. If you are accepted then the program costs $1,800 for veterans to participate. 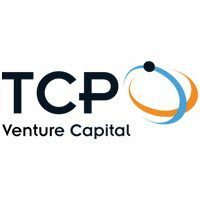 The Veterans’ Opportunity Fund, run by TCP Venture Capital, invests up to $3 million in high-growth veteran-owned businesses. They focus on east coast businesses involved in technology, healthcare, and business services. To be considered, you should have some early revenue or a prototype product or service that can be evaluated. If you want to avoid diluting your equity by taking a VC investment, you might be interested in reading about revenue based financing. The SBA-run Operation Boots to Business is a training program that is part of the U.S. Department of Defense’s Transition Assistance Program. Boots to Business provides entrepreneurship training to veterans, beginning with a 2-day course introduction to entrepreneurship and continuing with a rigorous 8-week instructor-led course at a local university. The curriculum includes business concepts (e.g. accounting), the knowledge required to develop a business plan, and information on other SBA resources available for veterans. The system for award management (SAM) is a government run online portal where all businesses must register if they want to do business with the federal government. 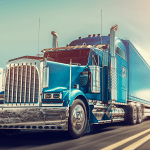 All registered vendors show up on the data list through SAM, where government employees do searches to determine vendor eligibility for new contracts. If your veteran owned business plans to bid for government contracts, make sure you’ve registered on SAM. 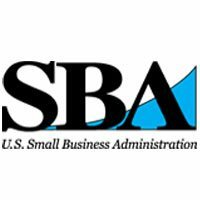 The SBA offers a program that provides counseling, mentoring, and training for veterans starting a business. They offer these services through 15 participating organizations in outreach centers across the United States. Check out their locations today to see where the nearest outreach center is to you. The Veterans Business Resource Center offers free training webinars and free boots to business events for veterans. The VBRC partners with the SBA to provide these free informational webinars (which are held most Wednesdays) for veteran entrepreneurs. They will also provide on-site consulting services, for a sliding-scale fee, to help veterans with things such as setting up Quickbooks or applying for government contracts. The CVOB is an advocacy group for businesses owned by veterans and their spouses. The CVOB is a free service that promotes veteran owned businesses through B2B product awareness. You must register your business to be a part of their database that is shared with corporate partners. Once you are signed up you will be given opportunities to network with corporations that want to help grow veteran owned businesses. NAVOBA is an advocacy group for veteran owned businesses. As a veteran you can join the association and receive member benefits for free. One free benefit is having your business listed in their marketplace, where businesses looking to partner with veteran led businesses can find yours. You can also receive Vetrepreneur magazine and other resources that aim to keep you up to date on the benefits and opportunities for veteran owned businesses for $47 per year. The Patriot Boot Camp is a free resource that provides in-depth entrepreneurial education through live events and mentorships. This resource is geared toward technology related businesses that are owned by veterans or their spouses. Unlike many other mentorship programs, the mentors at Patriot Boot Camp have had success in the technology space so are uniquely qualified to advise your tech startup. American Corporate Partners connects veterans with hand-selected mentors for a 12 month period for free. These mentors help veteran entrepreneurs make connections in the business community to aide in the start or growth of their business. Mentors are not randomly assigned to veterans. They are matched based on their familiarity with your business, industry, or your specific needs. GovCon Ops is a private veteran owned and operated consulting business that aims to help other veteran owned businesses receive government contracts. Veterans pay to receive schedule writing services. GovCon also provides general guidance and direction to simplify the process of finding the right government contracts to grow your business. The HCC Fellows program is a free 8-week incubator to help veterans as they launch and grow their business. Interested veterans must apply and be accepted into the program. The HCC Fellows program utilizes a combination of classes, guest speakers, and collaboration events. At the end of the incubator, participants will have the opportunity to pitch their business to investors, foundations, and community leaders. Fundera has compiled a database of their favorite resources that facilitate veteran small business owners in growing their businesses. Despite challenges veterans face in securing small business loans, several federal, corporate, and non-profit organizations offer resources specifically meant to both educate and fund veterans in their entrepreneurial endeavors. Check out this comprehensive and actionable list on Fundera’s site. Banking: Learn necessary information about opening a small business bank account. From helping build the skills successful entrepreneurs need to offering programs that make sure veterans have access to capital, there are a lot of resources out there for veterans starting a business. Keep in mind that when it comes to financing a startup you’ll still need to demonstrate an ability to repay any money you borrow. Before you apply for funding, check your credit score (you can check here for free) so you know what you’re coming to the table with. If your credit isn’t great (above 680), but you have more than $50k in a retirement account, consider avoiding the borrowing process altogether and look into a rollover for business startups instead. You can gain access to your retirement account money (without paying early withdrawal penalties and taxes) to fund your startup. Speak with a ROBS professional at Guidant. Great resource of information. Thank you so much. Thank you for all the valuable resources! I’m sure I’ll have questions in the near future. Eddie i retired from the Navy in 1996 after served in the Marines for a total of both services for 20 yrs, I am 90% disabled. I wish to know how can start a business since i can’t work for anyone because of my disability(seizures). Are there any resources for vets like me? There are a couple resources specifically for veterans in your situation. The Entrepreneurship Bootcamp for Veterans (EBV) is an all expenses paid business training program for veterans with disabilities. It’s set up so that you get training and education before launching your business, and ongoing mentorship as your business starts. You can also apply for grants via The Vocational Rehabilitation & Employment Program (V&RE), which you can use to purchase inventory, supplies, equipment and cover licensing fees. I am a retired Veteran and am really interested in starting up a tax preparation business. I have an MBA but yet, do not know where to begin. Any suggestions would be great. Thank you. Hi Pebbles, consider looking for funding, talking to the SBA, or getting a business coach through SCORE. A few articles below may help you jump start your business planning. Sometimes it helps to talk through options with another person who’s been there … like a small buiness tax accountant. I am a 100% disabled veteran and want to start a nonprofit to provide reintegration services, therapy, even an out-patient program for dual diagnosis. My credit is. It very good so would I still be eligible for any grants or do I have to have great credit? First of all, thank you for your service. It sounds like you’ve got a great plan for your nonprofit. If you’re looking for grants you take a look at our minority business grants article to learn more about how to apply. Many grant programs don’t look at your personal credit in determining whether or not you should receive the money. It’s all about what you’re trying to accomplish with your business and whether or not that aligns with the purposes of their contribution. You can visit grants.gov to get a comprehensive list of potential grants available to you. Good luck with your nonprofit!